Updated, 7/26/17, 4:47 p.m.: According to our readers, The Piggy has lived on at restaurants that are not affiliated with the Antone’s ran by Legacy Restaurants. (Wish I had known or I wouldn’t have been Piggy-less all these years.) These go by The Original Antone’s Import Co. with locations on Kirby and Bellaire. Asked to clarify the relationships, a representative for Legacy Restaurants wrote, “The only locations Antone’s is affiliated with are listed on the website.” More information on the difference between the two companies can be found in this article by John Nova Lomax. In the ’90s, I tried a sandwich at an Antone’s that I fell in love with to the extent that it was the only one I ordered there from that point on: the ham salad sandwich named The Piggy. A roughly chopped mix of ham and salami commingled in a hearty but graceful way with pickles and tangy Pickapeppa sauce. When it had an opportunity to sneak its way through layers of provolone and pepperjack cheeses, mayonnaise slightly softened the interior of the fresh, yeasty bun from Royal Bakery (which Antone’s sources bread from to this day). The Piggy was a whole-mouth experience that hit every taste bud, and the meat, cheese and bun all provided plenty of tactile sensation too. It’s not an exaggeration to say I was heartbroken when the company discontinued it. I’ve made a point of whining about it anytime “Antone’s” came up in conversation ever since. Perhaps I wasn’t the only one, because that wonderful ham salad sandwich is back. Unfortunately, it’s only returning “for a limited time,” but if it sells well, maybe it will regain its rightful place on permanent menu. It’s available at the two full-fledged Antone’s locations at 4520 San Felipe and 2724 West TC Jester. That’s not the only new offering, though. Another sandwich on the hearty side is a beef brisket po’ boy dressed with Cajun mayonnaise. The whole thing is then topped with plenty of lettuce and tomato. If fried chicken tenders are your thing, then Antone’s related po’ boy might be worth a look. The accompanying French fries are good, but the two cute little hush puppies alongside with deep brown exteriors are particularly flavorful and interesting. 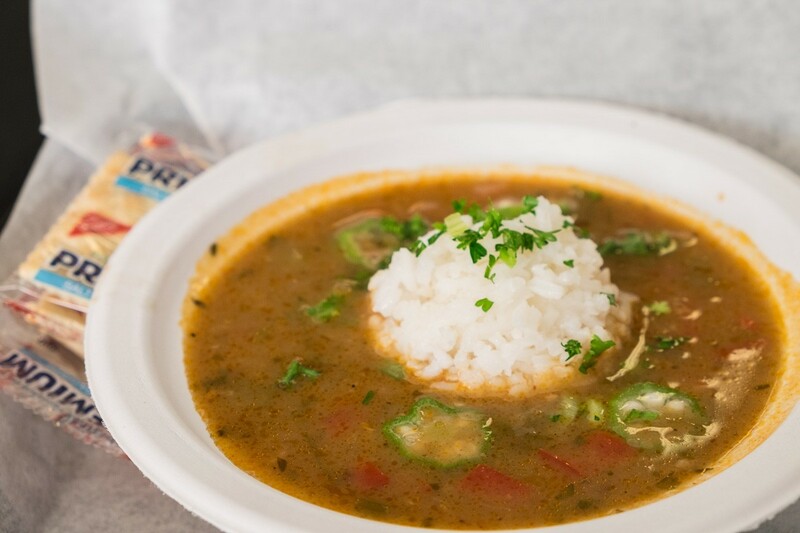 Vegetarians will appreciate the new gumbo offering; vegetable stock thickened with dark roux base cradles tomatoes, onions, celery, and bell peppers both red and green. There’s a new vegetarian sandwich as well. The Nature Boy is packed with hummus, tabouli, Kumato tomatoes, seasonal vegetables olives and feta cheese on whole wheat po’ boy bread. A word on those Kumato tomatoes: that’s the brand name of gorgeous Spanish tomatoes that come in deep hues of brick red with tinges of forest green. In addition to being particularly beautiful, they tend to be sweeter than the run-of-the-mill kind. Antone’s is using these on several different sandwiches now, and it’s good to see. 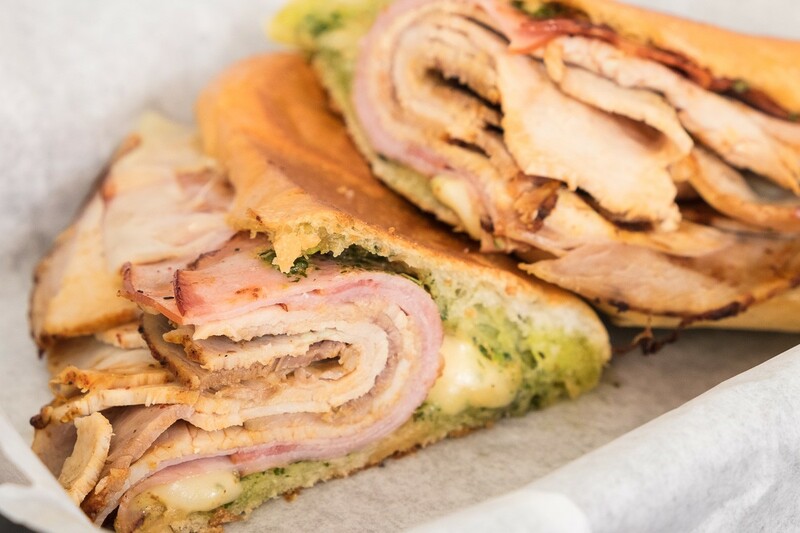 This past year was the first time that there have been signs of renewed growth—in the brick-and-mortar sense—for this classic Houston sandwich chain after a long period of contraction in the storefront sense. (The owner, Legacy Restaurants, has focused on growing the retail side of the business for years, which is why their traditional, white paper-wrapped po’ boys are often seen at grocery stores and other third-party sellers.) A kiosk opened at 5 Greenway Plaza in June 2016, and Legacy Restaurants is hoping to open a downtown location before the end of the year. A previously announced West Houston location has been tabled for now. A continued mix of new menu offerings alongside revered classics, paired with overall business growth, could very well propel Antone’s storefronts back into the Houston restaurant spotlight. The time seems right for a revival of more than just The Piggy. If you want real Antone’s go to the import company. Their chow chow and pickles are the best. They taste as good as when I started eating them as a child. Their Piggy boy is good. The “famous” branch is not good. The chow chow is the wrong color, texture and flavor. The pickles are sweet ones instead of the slightly filled flavored kind. 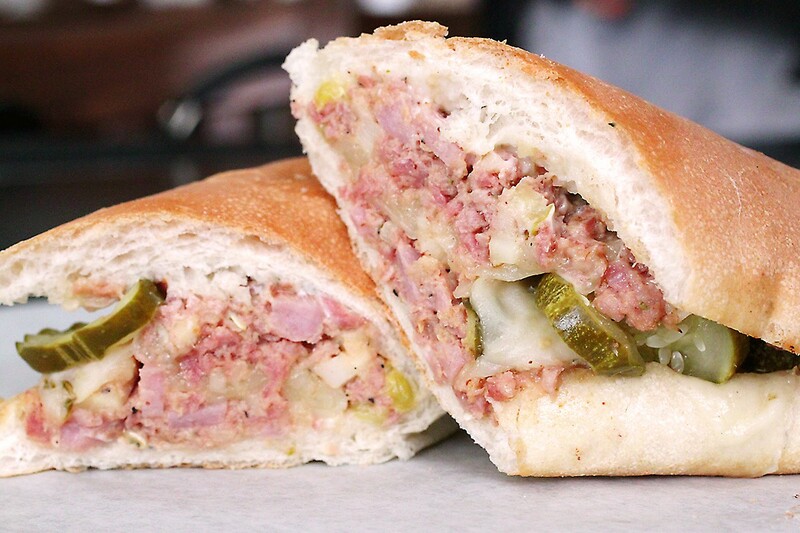 What you are getting is not the po’ boy that made them known. You are getting something that tastes mass manufactured.